Loved this one by Falguni Pathak and still get feeling-excited-jitters whenever I listen to it. This year as I am in Mumbai, I made plans to go see her live as she performs here during Navratri. As I approached the party plot in Ghatkopar, I could hear Ms Pathak crooning to ‘Indhna vinva gai ti more sainya’ - another of my favourites. I felt so excited, as I just love all her songs. And that voice… I got goose bumps as I approached the party plot with her voice growing louder as I hurried towards the Garba ground. Navratri is without doubt my favourite festival. Growing up in Ahmedabad in the heart of Gujarat, the ‘Malla mata ni aarti’(children make small hills with mud and bricks in their buildings/societies and a goddess called Malla mata and the entire society offers prayers for the nine days of Navratri), the lights, the colourful chaniya-cholis & kediya, the music, the bands, the songs, the beats, friends and more than anything Garba- my folk dance, make me not only nostalgic, but also emotional; with so many childhood memories associated with this festival, I can’t help but feel overwhelmed. 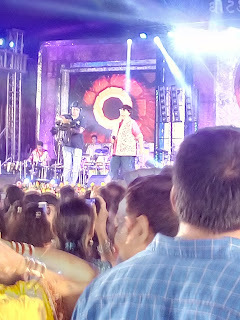 When I see Daya going crazy on Garba in ‘Taarak Mehta Ka Ooltah Chashmah’, I can relate to it as I know that’s how Gujarati people feel about Garba, more or less. I mean we do Garba even in New Year parties after we are done dancing on Angrezi beats. I miss my friends with whom I have enjoyed the most memorable Navratris – Shaiva, Hemangi, Prachi, Devika, Juhi, Kruti, Suhani, Harsh, Munjal, Vishv, Heet, Vaidik, Manthan and many more. I MISS YOU ALL AND THOSE NIGHTS SO MUCH. We were a crazy group and all were amazing dancers. Harsh was our leader and whenever we needed to change the step, he would blow a whistle – a shrill and loud whistle that was loud enough to be heard in spite of the loud music. We all had to look at the master and follow him. Yes, we take our Garba that seriously. We would dance the night away and then would go to Honest for Pav Bhaji or Danny’s for its special cold coffee. 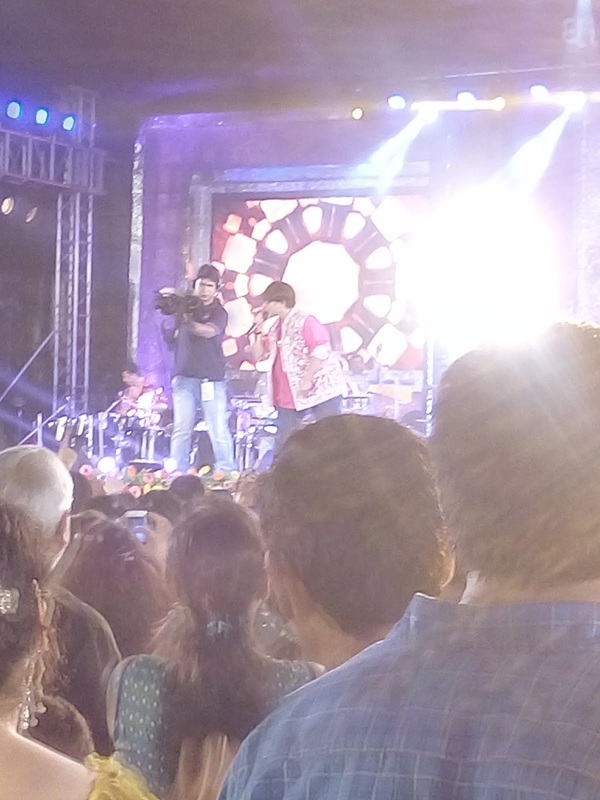 Ahmedabad also sees celebs promoting their movies during Navratri due to the festive tempo. 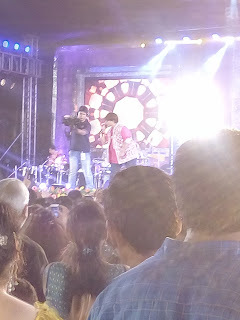 I remember seeing Ranbir Kapoor when he had come to promote Rockstar. This year I have heard Salman Khan is going there to promote his upcoming movie. 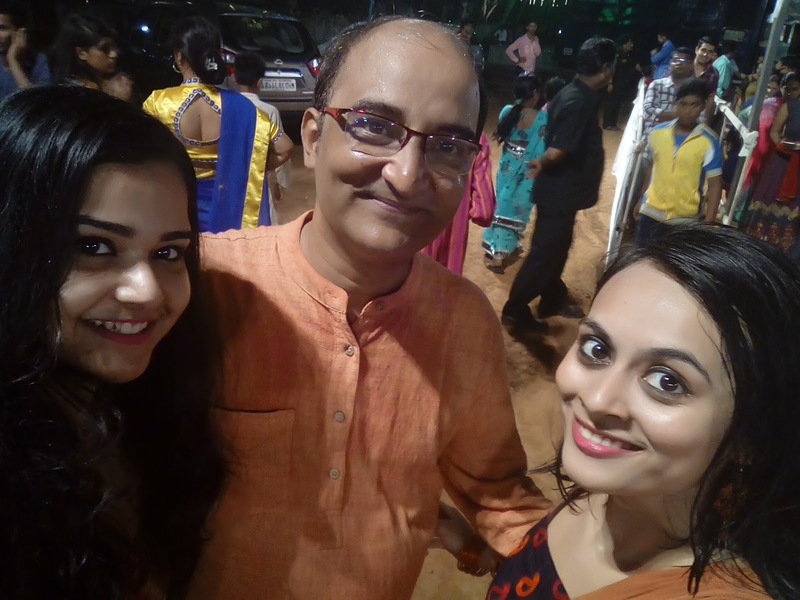 This year in Mumbai, I was disappointed with the Garba festivities. I could go just one day, and I wasn’t even allowed to dance. Yes, you read it right. We went from group to group asking if we could join but they simply refused. One of them said I could join in but as soon as I did, another group member showed me out of their circle. I asked another uncle wearing a ‘white dhoti and jhabho’ and black thick rimmed glasses if I could join his group. He seemed to be the leader as he was trying hard to make everyone do his step. I thought he would let me in as he really needed some attention which I had to give due to my circumstances. But he said, “Do minute ke baad”(You may join after two minutes) After two minutes I found myself doing a really-bad-uncle-step- which-wasn’t-even-garba, (no wonder he was struggling with his group members to follow him) that I simply decided to go home. In fact, Mumbaikars had tied duppatas(long stoles) around their circles so that no one could enter their Garba circle. 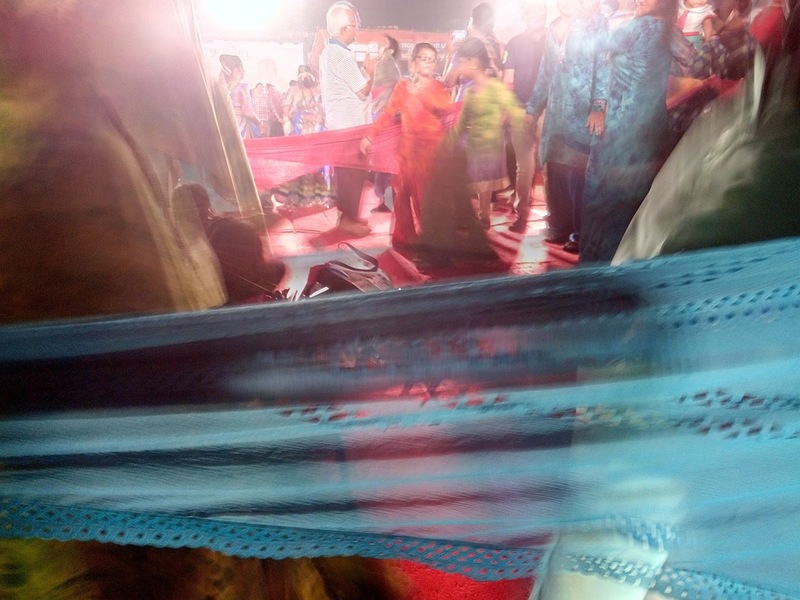 These people have changed the shape of Garba altogether – they have made it square with ropes instead of a free circle it is supposed to be. A free circle as you say ‘haalo haalo’ and let everyone join in. Whatever happened to that spirit? Is it just a show off now? Festivals are supposed to be about coming together and celebrating. I remember when Gujarat and Maharashtra were one state – Mahagujarat, till May 1st 1960. Do these people even know that? Garba is my folk dance, and I felt really bad I wasn’t allowed to dance on that.